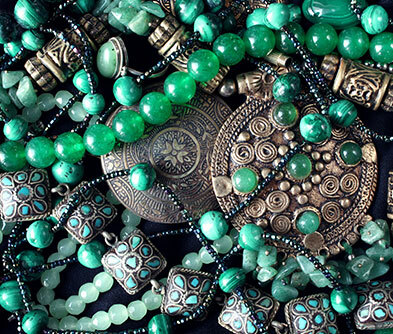 In a city planned by Feng Shui, it is unsurprising that the Jade rules supreme. Locals believe that this imperial stone can attract the nine dragons of Kowloon, mythical beasts who bring prosperity and peace in their wake! So for believers and non-believers alike, a trip to Hong Kong’s Jade Market in Yua Ma Tei is something of an imperative. 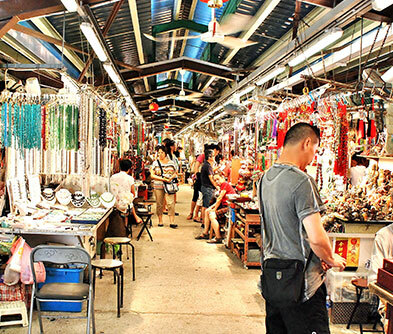 The largest outdoor market in Kowloon, it is fronted by an imposing red gate and has nearly 400 stalls. 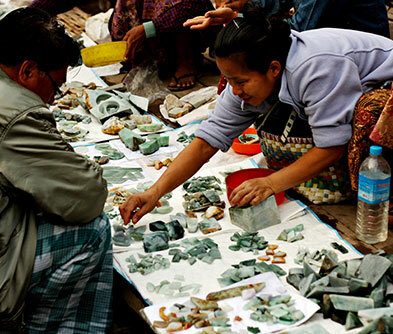 All selling various grades of the stone, carved into Buddha statues, necklaces, amulets, pendants, rings, bangles and key chains. Jade is classified as jadeite (harder and more prized) and nephrite (somewhat the poor cousin). It comes in an astonishing range of colours from the bright greens to lavender and white. Knowledgeable buyers look for vivid colour and translucency. Many stalls are manned by smiling old ladies who are extremely savvy (and tough). Do the walk around and come back to the stalls you like. Bargaining is expected and you can do it in any language! The market sells both traditional items (for gifts and souvenirs) and trendy jewellery in the lighter shades which are increasingly popular.